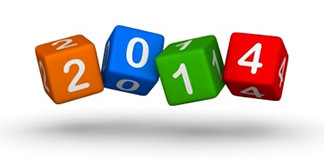 The Best Marketing Mix for 2014 | Real Web Marketing Inc. I started working in the marketing field in 1989. For those of you that are history-challenged, that was before there was an Internet. I have specialized in Internet marketing for the last 10 years or so, so it is interesting now that I am starting to come full circle. I mean that in 2014 it is time for marketers and business owners to realize that the best marketing strategy is a balanced and varied approach, using a variety of online marketing strategies as well as some offline strategies. There are three different types of search engine marketing: organic position, pay per click advertising (Google AdWords), and Google Places. Organic Position: This is where your site comes up in the regular listings on Google when someone searches for something. This whole area is heavily in flux right now due to changes that Google has made over the past three years, and has been continuing to make over the past few months. Basically Google stated many years ago that the number of links to your site is the main determinant to how high your site will rank organically for a given keyword. But all of their algorithm updates over the past three years have worked to stop people from doing proactive link building. See my recent article series (1 2 3) for more in depth on this. My conclusion right now is that you can’t depend on organic position as the only thing you are doing to market your web site or business. I don’t think someone should necessarily stop link building if they are doing it successfully, and we are still doing it successfully with some clients. But I don’t think that is the only thing you should be doing. Pay Per Click Advertising: These are the ads that appear at the top in Google (highlighted) and in the right hand column. PPC continues to be a very successful advertising medium, as long as you are selling a high ticket item, i.e. something that costs at least $500 and preferably several thousand dollars. Bid prices are driven up when there are a lot of companies competing for the same keywords. So in some very competitive industries the prices have gone up to a point where it isn’t viable anymore. If you want to make a go with PPC my advice is to hire an experienced consultant to set it up and manage it. Google Places / Google Maps: A Google Places account is a necessity for any local oriented business, meaning one that serves a local area, such as a health care practice, restaurant, home improvement company and so on. Hire a consultant to get you onto page one. One of the disadvantages of search engine marketing is that you do various things and then wait for the search engine to move you up in the rankings. Since Google at least seems determined to stop anyone from being cause over their rankings, I think it’s time to step around them and look for other areas where we can be more proactive, like email marketing, social media, video marketing, and offline marketing actions like direct mail and print advertising. Email Marketing: For most companies it is a must to build an in-house email list and send an email newsletter to it on a regular basis. In the past I have said that renting email lists is no longer viable due to poor response rates and high prices. However, I am seeing a bit of a revival in this area, with some companies seeing good success renting, with lower prices and better response rates. Social Media: This continues to be an important medium for many types of companies, with Facebook, Twitter and LinkedIn being the primary players. Having an account on these sites and sending out regular communications is vital. Facebook made some changes in the last year where your posts on your fan page don’t go out to all your fans anymore, unless you pay them, on each post. Seems like a rip-off to me, especially since many companies worked hard and spent good money to build up their fan lists. But for companies that have built up large fan lists, they should do it. Photo sharing sites like Flickr and Pinterest are gaining momentum. Video Marketing: Having a 2-3 minute video for your company is becoming more and more important. Our company now offers a video optimization service, where we can get your video onto page one of Google for a local, regional or national keyword. It’s one of the most affordable ways to get onto page one for a given keyword. Direct Mail: I explained in my earlier series how certain types of businesses sort of fall through the cracks when it comes to search engine marketing, i.e. it doesn’t work for them. For many of these types of companies, direct mail remains an important option, especially the less expensive varieties. Display Advertising: I’ve never been a huge fan of display advertising, especially in magazines and newspapers. But I think some display advertising is a good idea in your marketing mix, especially if you are in a business-to-business industry and there are trade publications. I think that in light of the economic situations we face today, where consumers of all types of products and services feel differently about spending money than they did five years ago (and there’s no real recovery despite what the administration tries to tell us) that it is more important than ever today to survey your target public. You can find out what benefits they feel they would get from your product or service, what benefits they value most, what media they would or go to in order to get information about your product or service or find a new provider, how they feel about their current provider, what might get them to switch providers, what media they use or read, what Internet sites they go to, and so on. Especially if your promotional materials are not getting an adequate level of response, you should consider surveying. Best of luck with marketing your business in 2014.